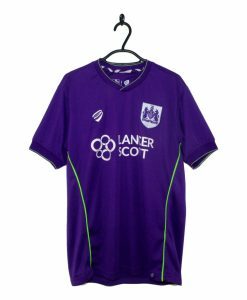 The 2017-18 Bristol City Away Shirt made by Bristol Sport is predominantly purple with thin lime trim on the collar and cuffs. 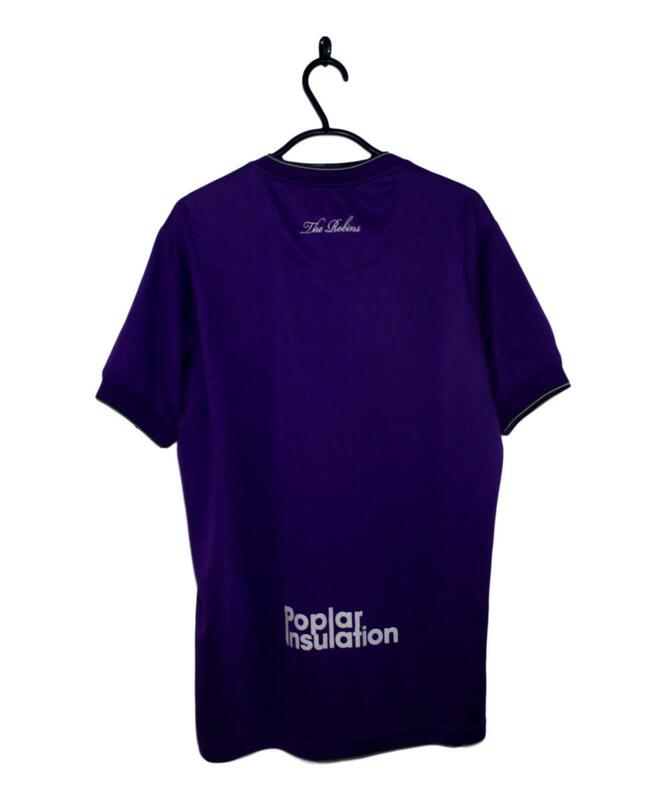 Lime piping runs down the edges of the front. 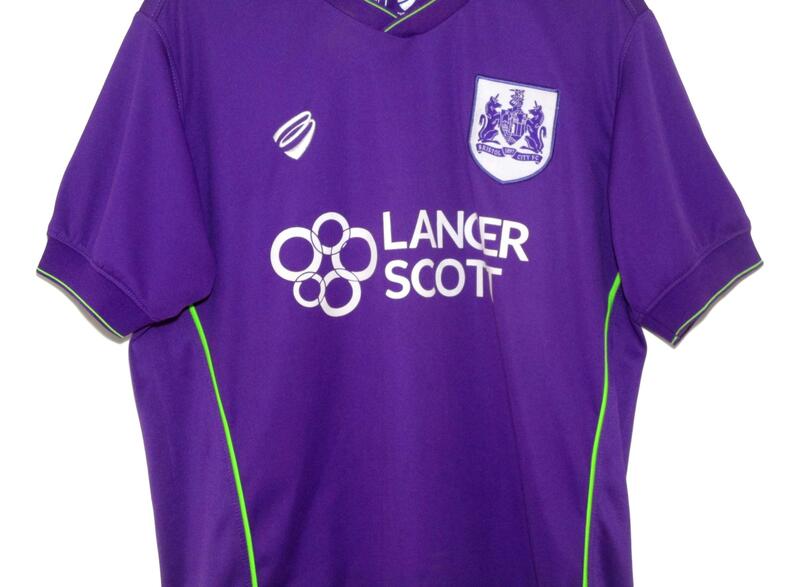 Both the Bristol Sport logo on the right breast and the Lancer Scott shirt sponsor are coloured white. 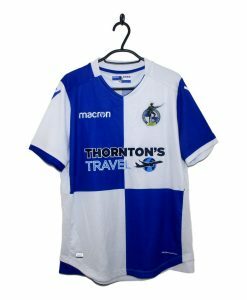 A monochrome Bristol City badge is placed on the left breast.